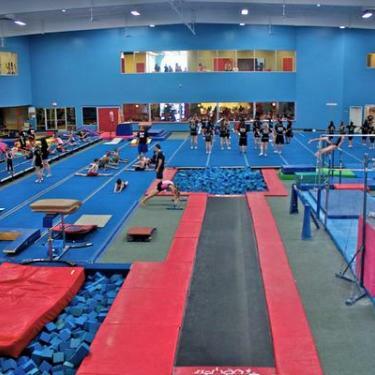 American Kids has been Kern County's leader in teaching tumbling & trampoline (T&T) since 1984. Tumbling classes are offerred in three basic formats; those who just want to tumble for fun, those interested in tumbling for cheerleading, and for those wishing to compete at it. We also offer trampoline classes for fun and for competition. 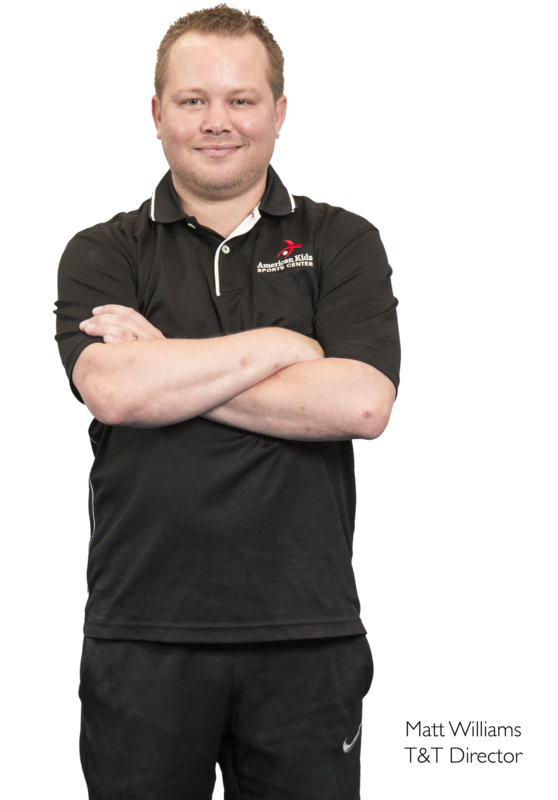 Our staff is lead by Matt Williams a career USAG T&T professional & Elite level coach. Complimenting our professional and experienced staff is the finest Olympic quality tumbling and trampoline equipment made! American has one of the best equipped T&T facilities in the USA with: Two Tumble-Trak ( 40 ft and 70 ft) - Two 80 ft. fiberglass rod power tumbling platforms - Three foam block pits to tumble into - Two resi-pits to tumble onto - Four in-ground trampolines all into pits - ELITE Competition above-ground Euro Trampolines - ELITE Competition Double-mini Trampoline - Mats of all sizes and shapes. Too many to count! Tumbling classes for those who intend to use it for cheerleading. Designed around the needs and progressions used in all-star cheerleading, these classes are perfect for every type of cheer - school, club, sideline cheer, and competitive All-star & Prep. American Airborne is the tumbling and trampoline team of American Kids Sports Center. They compete in the Junior Olympic Development program of USA Gymnastics. Team members compete in Tumbling, Trampoline or Double Mini Trampoline. Team members can be as young as 6 years old. American Airborne has had numerous State, Regional, and National Champions. Headcoach Matt also serves on the SoCal State Board. For more information about joining the T&T team, email our staff.